TIFF format is widely used today, especially in printing establishment, faxing, scanning, text recognition applications, photo and graphics editing. Tagged image file format provides the wide range of facilities, but it is not universal solution for all purposes. There is always a need to switch between graphic formats when working with images. For example, if you have scanned files in TIFF format and want to use them for publishing in your blog, it will be suitable to convert TIFF to JPEG or PNG. 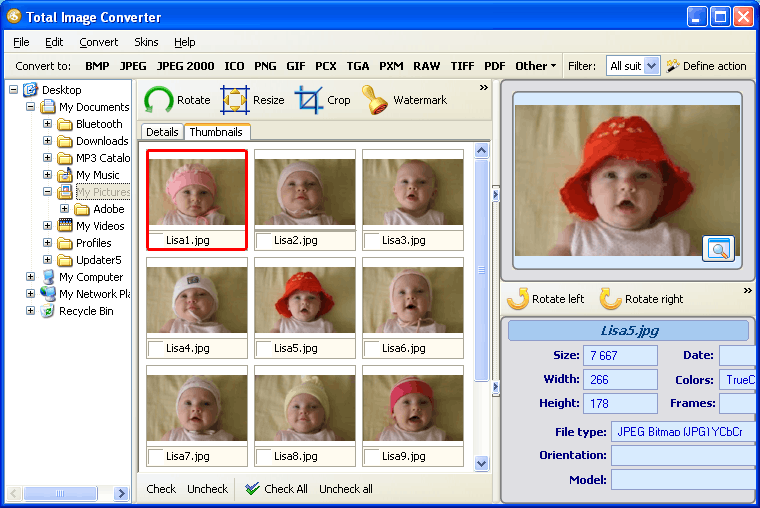 For converting TIFF to any of these formats you need only to select proper source images using in-built navigation panel and set the location for the future converted copies. 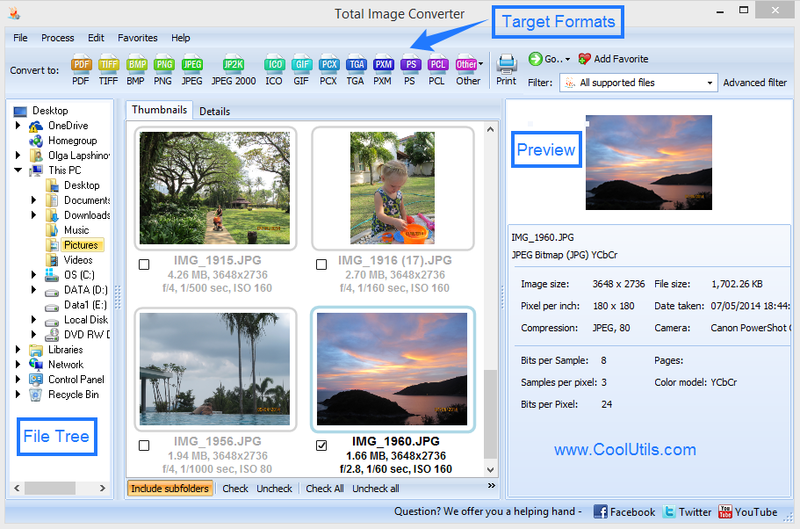 Besides you can set specific options like converting specific image fragment, selecting compression method and color space, adding a watermark, etc. You can process as many images in one cycle, as you wish. Rotation feature: you can rotate and flip TIFF files in any directions you need. Resize: change the size of image to one suiting you best. Crop: this feature allows extracting specific image fragment and save it as a separate TIFF filing. Watermark: protect your images by adding a watermark. Frame: decorate TIFF images with one of 9 available frames or put a frame from third-party file. You can edit and convert TIFF files at the same time. 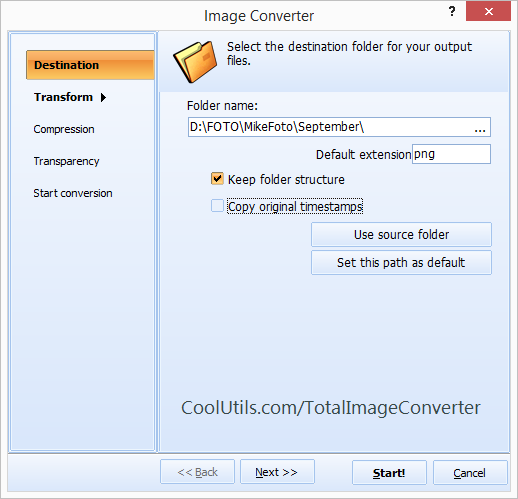 This makes Total Image Converter the most functional application for editing TIFF graphics. Download it now for unlimited use! Convert GIF to TIFF automatically. Convert CR2 to TIFF and to other formats. 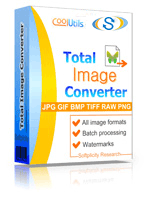 Convert DNG to TIFF and to other formats. Convert PCX to TIFF with comfort.